Parrikar said Modi has created real friendships and he was proud to say as a defence minister he was a part of that, because foreign diplomacy is not only the external affairs ministry. 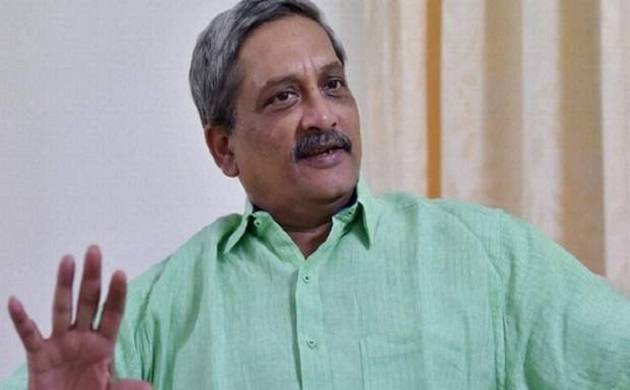 Former defence minister Manohar Parrikar said on Saturday that the defence ministry plays the role of “backroom boys” in successfully conducting international diplomacy. The Goa chief minister was speaking at the Goa Arts and Literature Festival in Panaji, where he launched the book ‘Securing India The Modi Way’, written by strategic analyst Nitin Gokhale. “What prime minister (Narendra Modi) did was beyond imagination... He activated the diaspora and created a world of his own amongst many of the nations,” Parrikar said. He said he had seen how respectfully presidents and prime ministers of foreign countries talked about Modi. “External affairs ministry is the face of the foreign policy, defence (ministry officials) are the backroom boys. Defence does the actual exercise, which needs to be done,” he said. “When you talk about Mauritius, the agreements were signed by the external affairs ministry, the executing work was done by the defence ministry,” he said, referring to India’s engagement with that country to strengthen its coast guard services. Referring to the “surgical strikes” India carried out on militant bases across the LoC during his tenure as the defence minister in September 2016, he said he believed in secrecy but disclosed that during the planning of the strikes, mobile phones were switched off. “When you talk to one additional person, the secrecy never remains. In fact, the surgical strikes were planned with mobile phones kept 20 metres away. Not only they were put off but kept 20 metres away so that nothing leaks,” he said. “And I am very proud to say only one thing: I must have had between Uri (terror attack on Indian Army’s base) and actual (surgical) strikes something like 18-19 meetings, which includes (meetings with) Army top brass and also defence ministry’s officers, but nothing leaked out,” he said. Some officers were flown to foreign capitals to make arrangements for armaments and ammunitions before the surgical strikes, Parrikar revealed. “We had to send officers with authority to carry out on the spot purchase. When you work out something, your preparation has to be perfect to ensure that everything is taken care (of),” he said. But keeping secrets was also demanding, he noted. “When you don’t tell anyone, you tend to build up stress. Normally stress is relieved by discussing with friends, but in defence you are not in a position to discus any of the issues with anyone, whether it is Myanmar surgical strike or PoK surgical strike, I virtually didn’t sleep because of the pressure,” the former defence minister said.